Many congratulations to Márc Daly from Bristol who passed his Practical Driving Test first time on Monday 22nd May 2017 at Weston-Super-Mare driving test centre. All the best from your Driving Instructor Andy Muir and all the team at Starfish Driving. Many congratulations to Tristan Greene from Bristol who passed his Practical Driving Test with just 3 minors on Wednesday March 2017 at Weston-Super-Mare driving test centre. All the best from your Driving Instructor Andy Muir and all the team at Starfish Driving. Great drive? Many congratulations to David Flossman from Bristol who passed his Practical Driving Test first time with just 3 minors on Thursday 23rd June 2016 at Weston-Super-Mare driving test centre, after a two week intensive course. All the best from your Driving Instructor Andy Skyrme and all the team at Starfish Driving. Great drive, now on with Motorway training? Emma with her Practical Driving Test Pass Certificate outside Weston-super-Mare Driving Test Centre. Many congratulations to Emma Milman from Bristol who passed her Practical Driving Test with just 2 minors on Thursday 10th March 2016 at Weston-Super-Mare driving test centre. All the best from your Driving Instructor Nigel Steady and all the team at Starfish Driving. Lovely drive and new shoes to celebrate! Jack with his Practical Driving Test Pass Certificate somewhere in Cheddar. 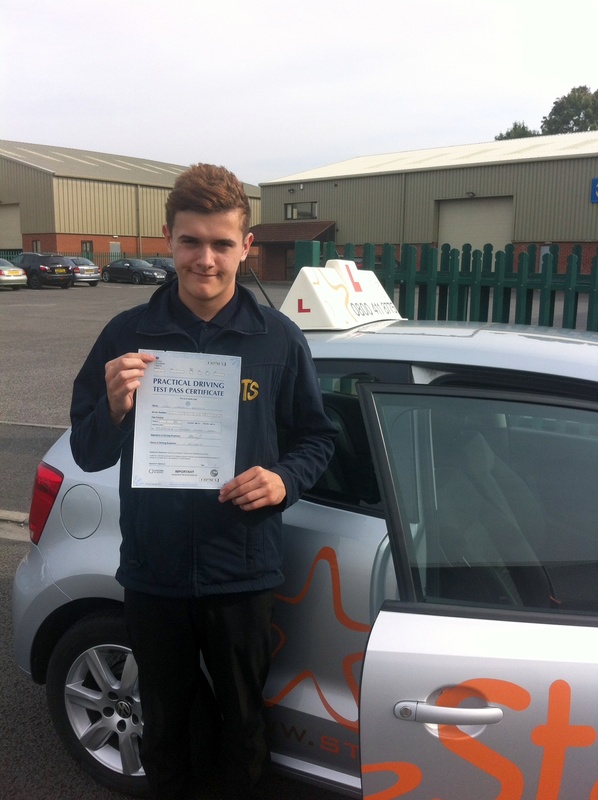 Many congratulations to Jack Griffin from Bristol who passed his Practical Driving Test first time on Monday 22nd September 2014 at Weston-Super-Mare driving test centre. All the best from your Driving Instructor Andy Skyrme and all the team at Starfish Driving. Great drive, now on with Motorway training?